Is your process capturing the data you need to run the reports you want? As business requirements change over time, management may request different metrics than were in mind when your Tracker system was configured. No need to fear. We've got tricks for adding fields to generate the reports you need. Add a new field with Pulldown selected as the type. Define the option menu items. 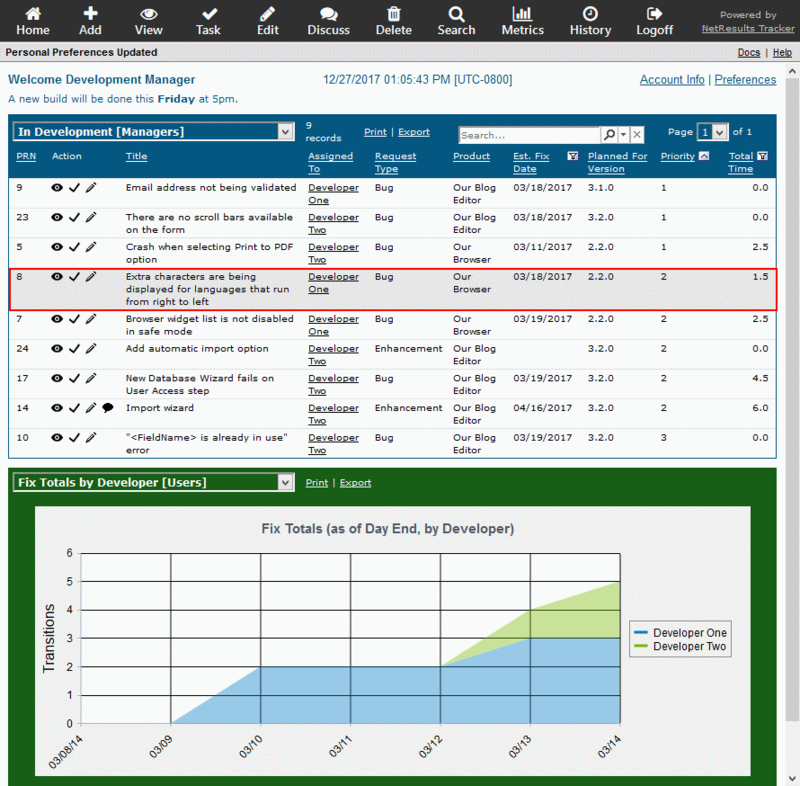 Include the field on the Add Page (if relevant) or add it as a task field to a transition(s) so this field can be set in new records. Existing records will get the default value for the new field. If needed, you can use the Edit Results operation to set this field for different batches of data. Then, create charts with this field selected in the "For every..." option in the Perform calculations section or as a breakdown value. A User Pulldown field can capture which user performed an action in the process (e.g. who fixed/tested/closed an issue). 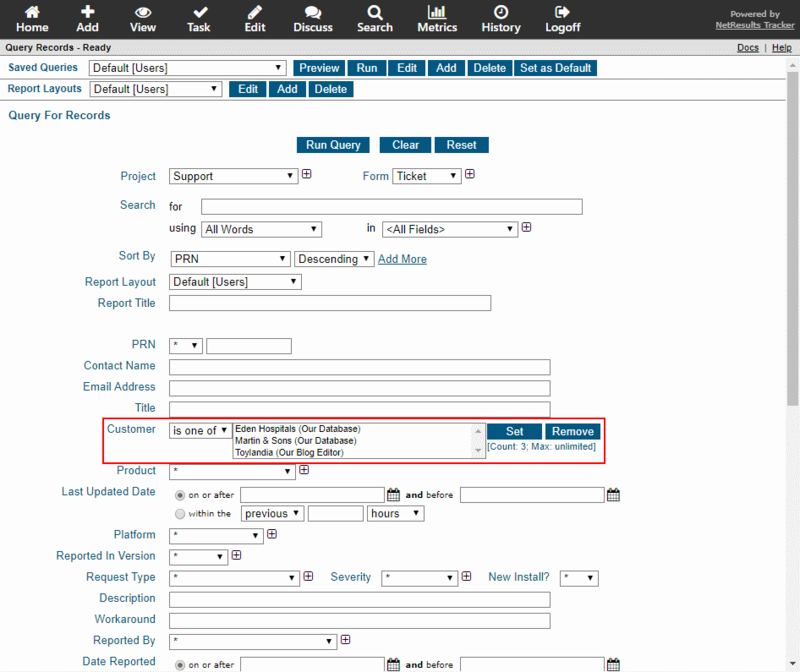 This Knowledge Base article has the detailed steps for setting up this type of field. It even has a wizard to help you set the value of the field for existing records. Then, create charts with this field selected in the "For every..." option in the Perform calculations section or as a breakdown value. 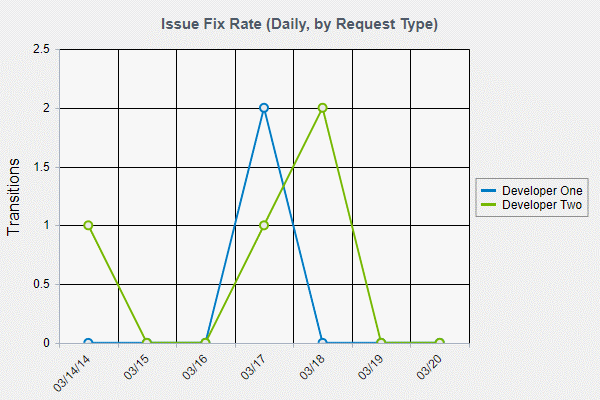 Capturing important milestones in date fields will allow you to run reports that compare dates. For example, you may want to see the average time it takes to respond to a customer who contacted your Help Desk or Support team. Add a new field with Date selected as the type. 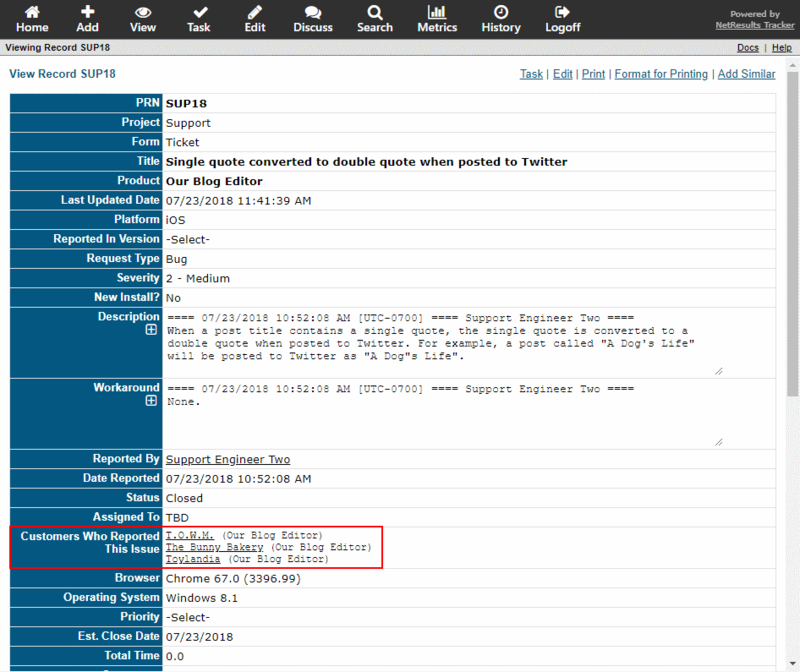 Then, add it as a task field to a transition(s) so the key date can be captured as records are processed. A date field can be set with the current date and time or can be set with a relative value. This Help section explains all of the available options. 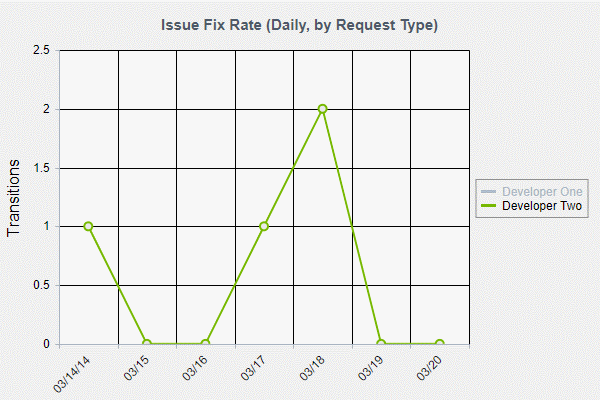 Then, add a chart that uses the "Average time from <date 1> to <date 2>" option. 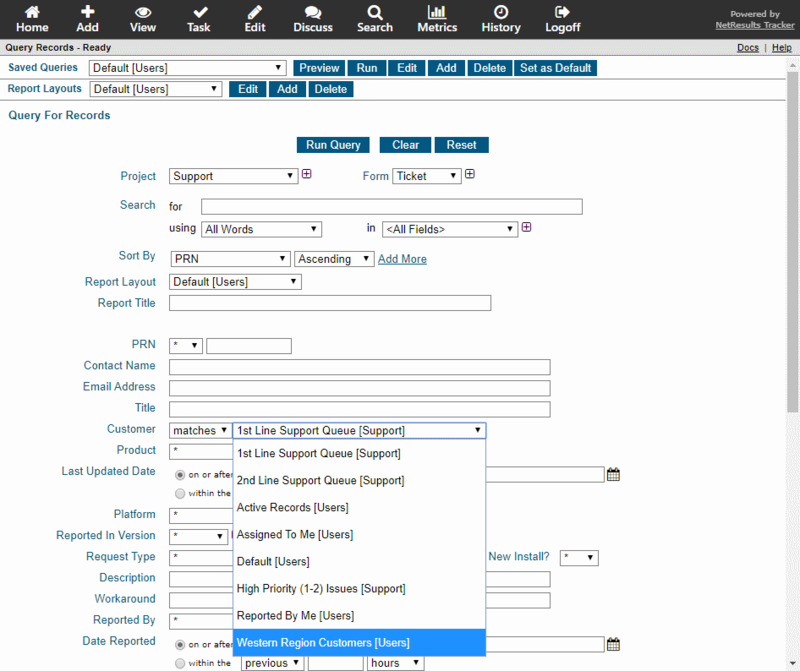 Make use of the versatile reporting options available for link fields. Link fields allow you to cross-reference records. For example, in a system where customers are reporting product issues, you may have a form for tracking information about each customer (products they purchased, contact information, support contract dates, etc.) in addition to the issue/ticket form they use to report issues. Below you can see a ticket, which includes a list of customers who reported the same issue. There are different options for running reports with these links. Use the "contains" option to search for tickets where the linked record includes the key word in its key fields. 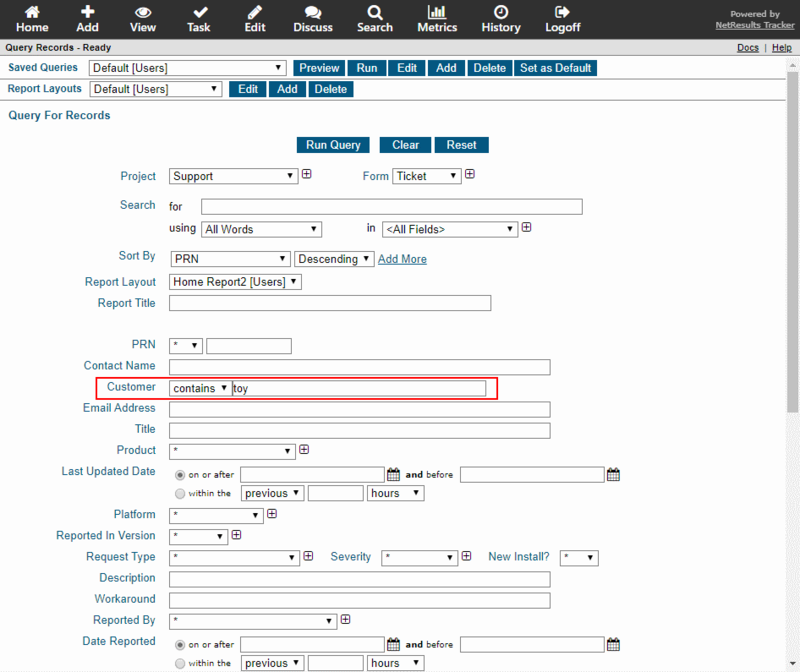 The key fields of the linked record are the fields displayed in the link; "Company Name (Product)" in the example below. Find tickets linked to one or more specific customers using the "is one of" option. Locate tickets linked to the results of a saved query. For instance, find all tickets reported by Western Region Customers. More information can be found in the Querying Records section of the User Help Guide. Tracker has a lot in common with the beautiful game's biggest tournament. 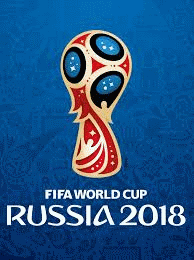 You can enjoy the World Cup from the comfort of your own device. The same is true of Tracker. All you need is a browser to access it from anywhere in the world. You don't need a conference room, you don't need a meeting...just login and see what's happening. Your organization's departments have their own Messi, Neymar or CR7. Tracker gives you a front row seat to their jawdropping customer saves and out-of-the-box solutions. A Tracker report can serve as a meeting agenda for a weekly/monthly staff meeting to review noteworthy actions. You can also learn what not to do. Since Tracker has a complete & searchable audit trail, it's easy to conduct a post-mortem when needed. A reversal of fortune can happen in a single flick of the ball in stoppage time. Tracker's alerts & email notifications help you stay on top of changes so you can respond immediately. Show fewer fields for a cleaner report while still searching within all. In Versions 7.1.0 and newer, you can search within all fields directly from report results on the Home or Query pages. 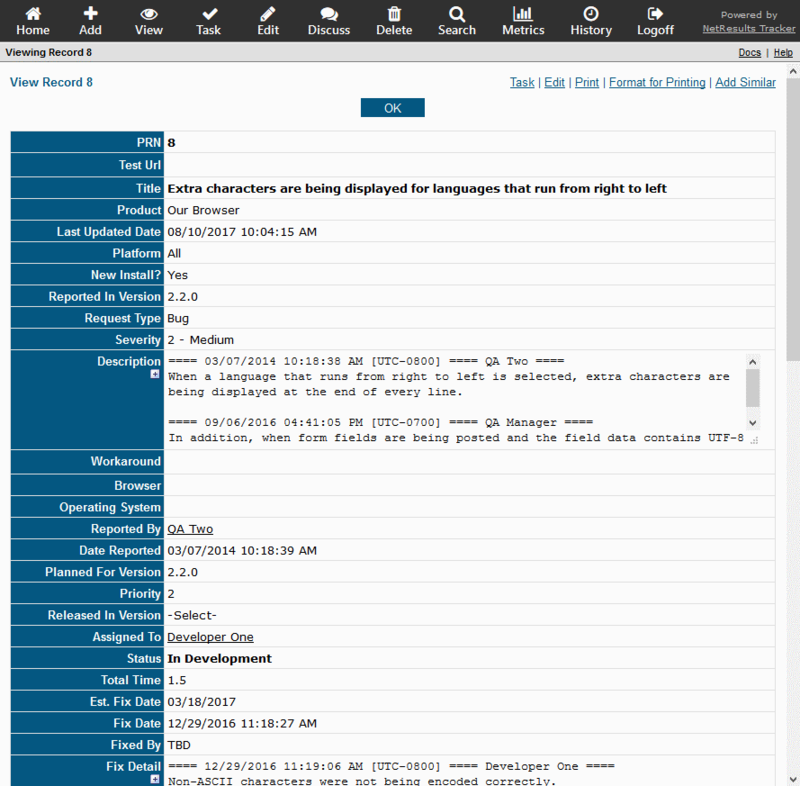 In previous versions, users would add many fields to a report layout so they could be searched. Cluttered reports take longer to load. We recommend including a maximum of 5 or 6 fields on a Home Page report. On the Home Page, take note of the name of the report you'd like to change. 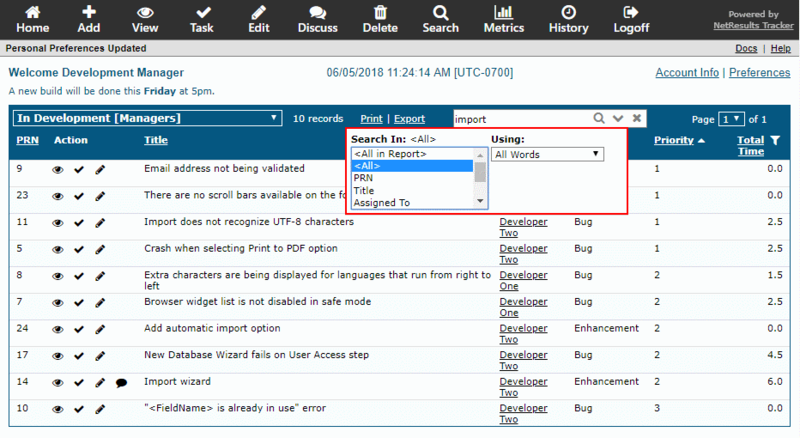 In the Saved Queries pulldown, select the desired report. The Report Layouts pulldown below it will be updated to show the layout associated with the report you selected. Click on the Edit button to the right of the Report Layouts pulldown. To remove a field from the report layout, select "<Do Not Use This Column>". Update the layout such that only 5 or 6 fields are displayed. More information can be found in the Using Saved Queries & Reports section of the User Help Guide. Double-click to view and other new report tricks. Double click on a line in a report on the Home or Query pages and you will see the View Page with full details of the record. 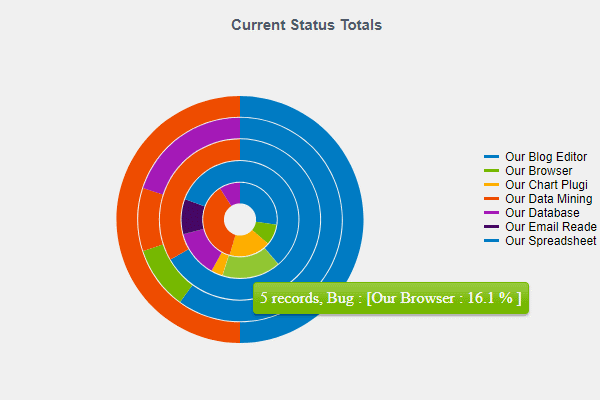 A new Metrics display engine was added to allow charts to be displayed without requiring any browser add-ons or plug-ins. It automatically adjusts the chart layout based on the data at run time. For example, it will add a legend, if needed. You can click on an item in the legend to hide or show it. The data for Developer One is hidden in the chart below. Or, a donut chart will be displayed instead of a pie chart when the calculation is being broken down by an additional parameter. These features are available in Version 7.0 or newer. Upgrade information can be found on the downloads page.